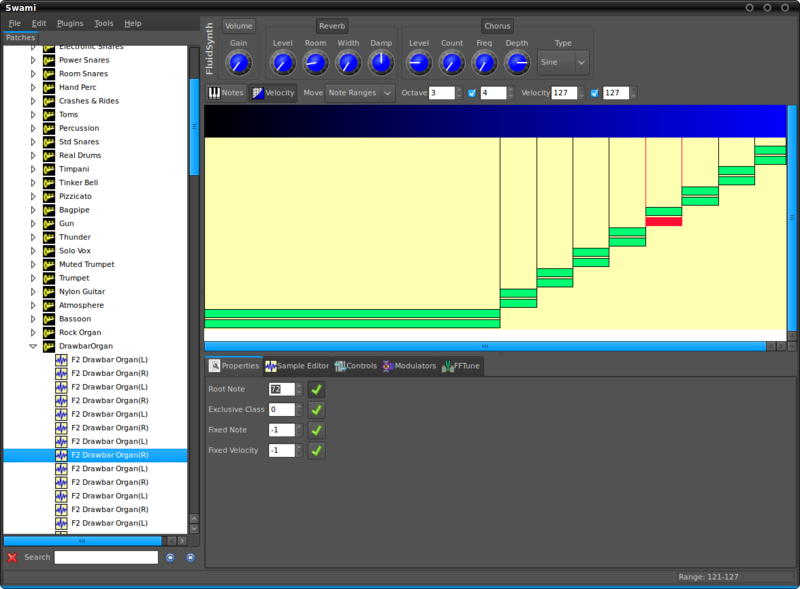 Screenshot of Swami sample editor. Screenshot of Swami sample loop finder, which assists in finding artifact free loops. 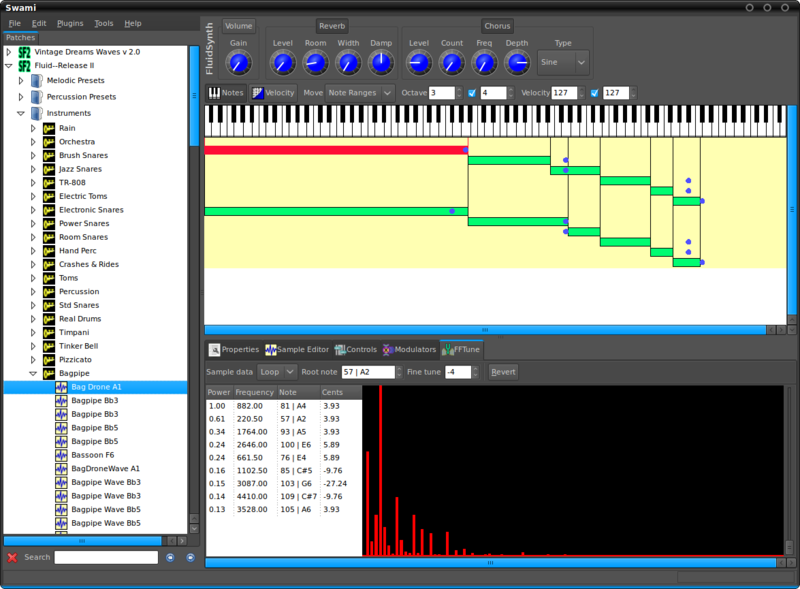 Screenshot of Swami FFTune plugin, which assists in tuning samples and instruments. Screenshot of velocity range view in Swami. Startup splash image for Swami 2.0. Project SWAMI, Sampled Waveforms And Musical Instruments, is a collection of free software for editing, managing and playing musical instruments for MIDI music composition. Current focus is primarily the SoundFont format, which is an open file format for digital audio “sample” based instruments. 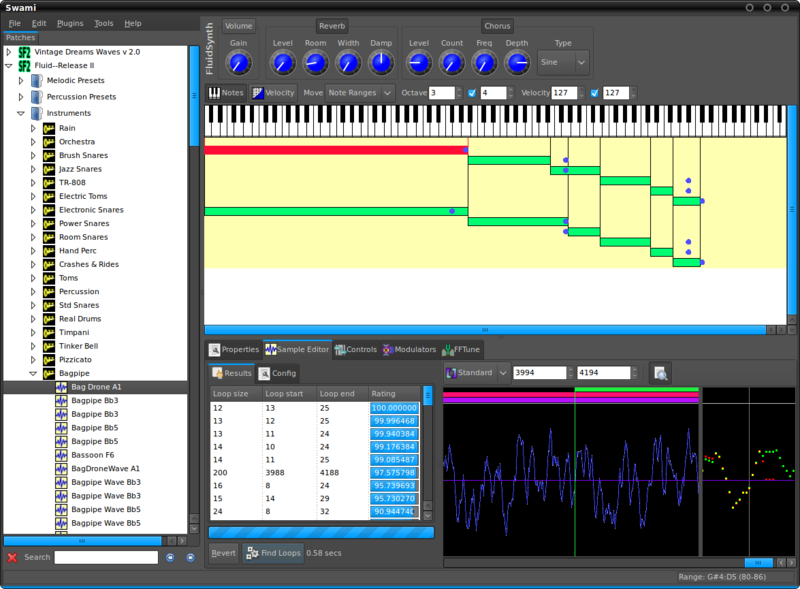 Swami – Instrument editor application. libInstPatch Instrument file software library. PatchesDB – Web interface for instrument sharing sites. Uses FluidSynth, a SoundFont based software synthesizer, which works with most any sound interface. Real-time SoundFont effect modulators, including global session modulators, which can be controlled by external MIDI controllers. 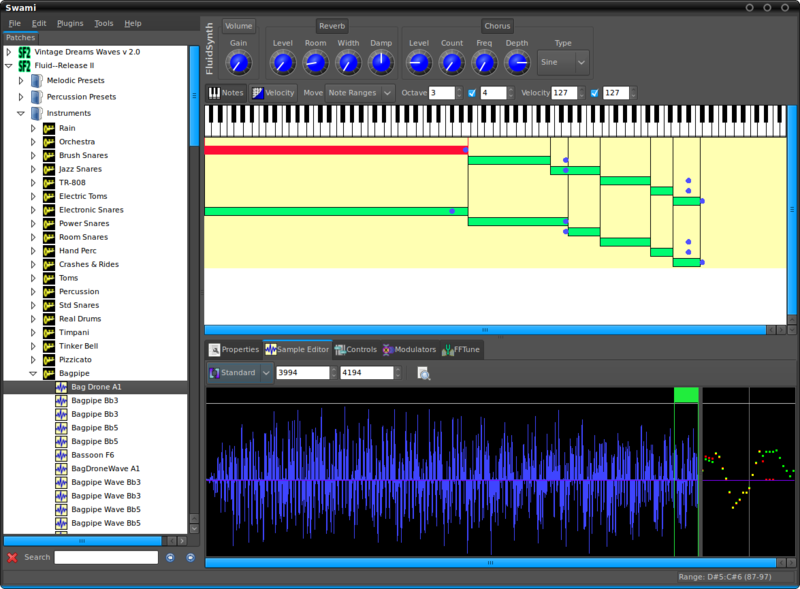 Virtual resizable piano keyboard for playback with computer keyboard or mouse and for editing instrument note ranges and root notes. Multi instrument file navigation tree, for easy navigation and copying resources between files. 24 bit audio SoundFont editing support. NOTE: FluidSynth is currently limited to 16 bit playback. Loop point finder for searching for optimal audio loop candidates. Loop point overlapping cross section profile view to aid with creating audio loops. FFT based auto tuning plugin, for assistance with tuning audio samples and instruments. Joël Krähemann created a linuxfromscratch.org based live DVD image for ags (Advanced GTK+ Sequencer) which contains Swami. For more information visit his blog post here. Project Swami now has a new website! The updated look and content is representative of the new found interest that I have in further developing this great software. My purchase of a new MIDI controller keyboard sparked a desire to add features to improve MIDI control and live composition in Swami. I’m also looking forward to developing additional new features, such as instrument library browsing support, virtual instrument files, session effect modulators as well as improving the Python binding and fixing outstanding bugs. 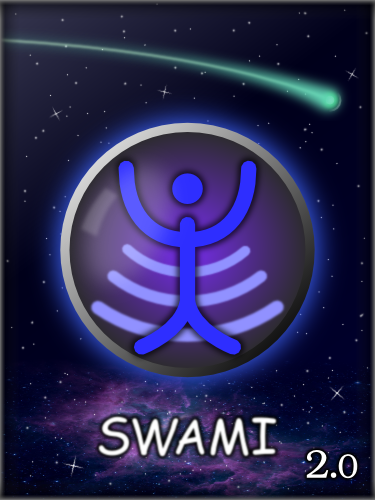 A new release of Swami is long overdue, to include the changes that have been made in the last couple years. I’m also going to get serious about creating package installers for Mac OS X and Windows platforms. If you want to get involved, post something to the forums, mailing list or make a donation!